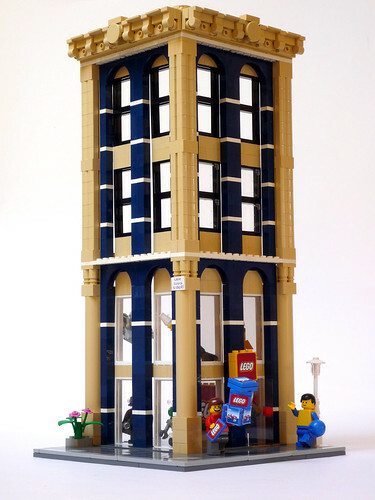 Brick Town Talk: Corner Office Building - LEGO Town, Architecture, Building Tips, Inspiration Ideas, and more! Frontal, originally uploaded by valgarise. I love the simple, art deco feel to this, intentional or not. The colors match terrifically, and I'm really liking that cornice detailing up top. Hopefully this will spur builders into some skyscraper construction! So... Where would you be able to buy this? Because I really want it!